A Human Rights Watch report published one year after the end of the summer 2006 war states that Hezbollah fired thousands of rockets indiscriminately and at times deliberately at civilian areas in northern Israel, killing at least 39 civilians. Human Rights Watch said that Hezbollah’s justifications for its attacks on Israeli towns – as a response to indiscriminate Israeli fire into southern Lebanon and to draw Israel into a ground war – had no legal basis under the laws of war. The 128-page report, “Civilians under Assault: Hezbollah’s Rocket Attacks on Israel in the 2006 War,” presents more than 20 case studies based on extensive field research in northern Israel into rocket attacks that killed or injured civilians in Jewish, Arab and mixed villages, towns and cities. It also draws evidence of Hezbollah’s intent behind these rocket attacks from more than 100 Hezbollah communiques and declarations. “Hezbollah’s explanations for why it fired rockets at Israel’s civilian population utterly fail to justify these unlawful attacks,” said Sarah Leah Whitson, director of Human Rights Watch’s Middle East and North Africa division. In their statements, Hezbollah leaders repeatedly threatened to attack Israeli towns and settlements in retaliation for Israeli attacks on Lebanese towns – a rationale that under international humanitarian law does not justify deliberate or indiscriminate attacks on civilians. Hezbollah also claimed responsibility for specific attacks on Israeli towns and settlements, even as they voiced support for the principle of sparing civilians. Statements by leaders in the military chain of command indicating intent to fire indiscriminately toward civilian areas are evidence of war crimes. Hezbollah rockets, some carrying anti-personnel steel spheres, repeatedly hit populated areas in northern Israel. Human Rights Watch found that numerous rockets were fired in which there was no apparent legitimate military target in the vicinity at the time of the attack, indicating that civilians were deliberately attacked. For example, hundreds of rockets struck inside Karmiel, Nahariya, and Kiryat Shmona, cities containing no significant military assets. 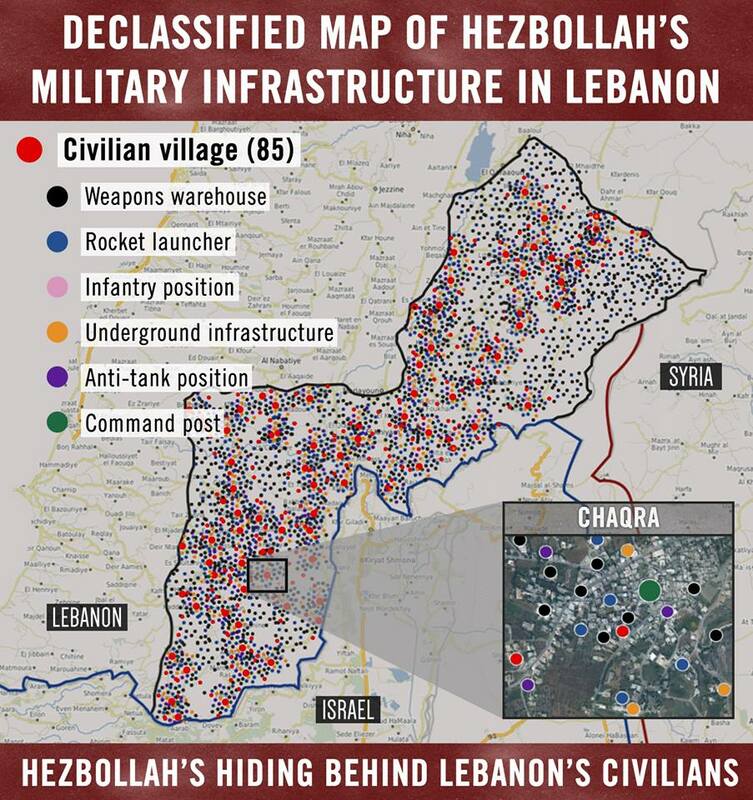 In other cases, a military objective was located in the vicinity, but even assuming that Hezbollah had intended to hit the military target instead of civilians, the inaccurate rockets it used were incapable of distinguishing between the two, making the attack indiscriminate. Hezbollah stated that it targeted and hit Israeli military objectives more than is known, and blamed Israeli censorship for covering up the extent of such attacks. However, Hezbollah attacks on legitimate military objectives, whatever their extent, do not justify the attacks that were indiscriminate or deliberately targeted civilians. Hezbollah forces fired long-range, unguided rockets, referred to as “Katyushas,” that were highly inaccurate and could not distinguish between civilians and military objectives. Fired toward cities and towns, such attacks showed, at minimum, a reckless disregard for civilians, and frequently hit civilians and civilian objects deliberately or indiscriminately. Many rockets that hit the most densely populated coastal areas – the city of Haifa and the string of its suburbs to the north and east known as HaKrayot – were 220 millimeter rockets packed with thousands of 6 millimeter steel spheres that when released in an explosion are devastating anti-personnel weapons. Incapable of inflicting serious damage to hard military structures or materiel, they penetrate human flesh and organs within a wide radius of the warhead blast. Hezbollah also fired into civilian areas cluster munition rockets loaded with submunitions that are designed to disperse, on impact, 3 millimeter steel spheres over a wide area. The Israel Police says that it examined 118 rocket strikes with cluster munitions. In “Civilians under Assault,” Human Rights Watch urges Hezbollah, as a matter of practice and doctrine, to cease all attacks that deliberately target civilians, as well as those that cannot discriminate between civilians and combatants, and to renounce publicly the argument that attacks on Israeli civilians are permissible as reprisals for Israeli attacks on Lebanese civilians. The report calls on the government of Lebanon to interdict the delivery of rockets to Hezbollah so long as it uses them, or subscribes to a doctrine that would permit use of them, to fire deliberately or indiscriminately into civilian areas. The report also urges the governments of Syria and Iran not to permit the transfer to Hezbollah of materiel, including rockets that Hezbollah has used in violation of international humanitarian law.